There’s not much to these, but they are delicious! Cook for about 2 minutes or until lightly browned and then flip them over to uncut side. Add roughly 1/4 cup of water to the pan and a few good splashes of apple cider vinegar. 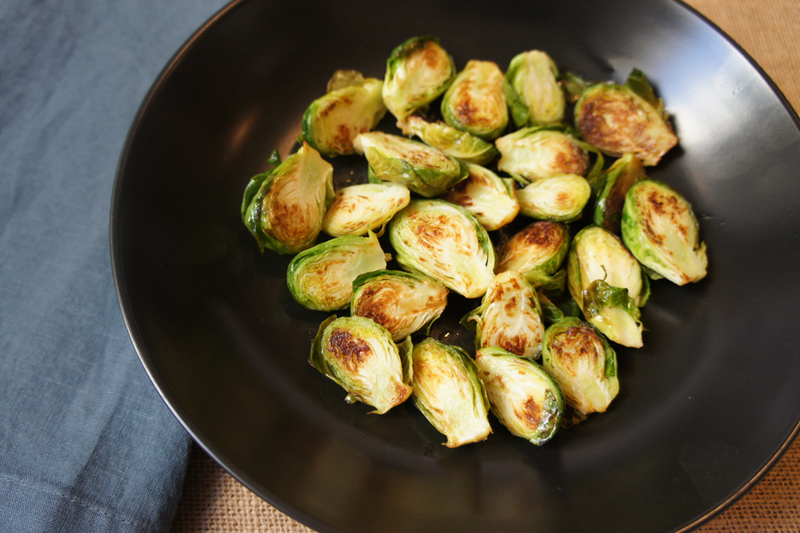 Let the brussels sprouts cook for an additional 5 minutes or until the liquid has evaporated and the sprouts are tender.